Take notes from Pia Wurtzbach, Jach Manere, and more. “Life peg”—a term we reserve for those celebrities, personalities, and all-around awesome women we follow on Instagram and admire but don't actually think we can measure up to. It’s tempting to assume we’ll never reach the heights they’ve attained, but even our life pegs had to start somewhere—and if they were able to get from one point to another, so can you. 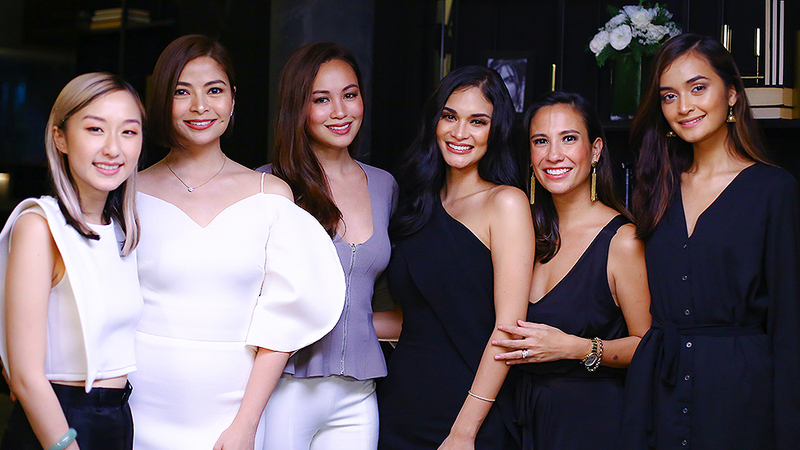 At Cream Silk’s recent Facebook Live, Becoming Your Ultimate: Conversations with Beautiful Women, five inspiring Filipinas gathered together and got real about the challenges they've surpassed, the successes they now enjoy, and the mindsets that have brought them to where they are now: Miss Universe 2015 Pia Wurtzbach, Asia’s Next Top Model Cycle 6 contestant Jach Manere, Happy Skin founder and chief brand officer Rissa Mananquil-Trillo, fashion designer and New York Fashion Week vet Rosenthal Tee, and GuavaPass country manager Sambie Rodriguez. Below, we share the personal beliefs that have turned them into the life pegs they are today so that you, too, can embark on your own peg-worthy journey. Today’s Filipinas juggle so many things and face so many challenges that it’s easy to lose momentum and get derailed from our ultimate goals. Choosing to surpass anything and standing by it demand a lot from you physically and emotionally. But that’s how you earn immense strength for your next goal and the right attitude for celebrating your successes—invaluable rewards in themselves. 2. See setbacks and negative feedback as fuel, not failures. It’s easy to lose hope when things don’t go your way, but when you choose to view setbacks constructively and power through them anyway, you’ll be able to come out of the ordeal stronger and more resilient. More than that, you would’ve gained insight on your weaknesses and now have the opportunity to improve on them, to strengthen your weak points. Take it from Pia, who, after failing to nab the Miss Universe Philippines title in 2013 and 2014, finally claimed the honor in 2015 and even went on to win the Miss Universe crown for the country. “Whenever I have people doubting me or stressing me out, I just have a way of using them as my fuel to do even better,” she says. So she trained every single day three years ago in preparation for the competition and the coronation night. 3. Don’t rest on your laurels—keep striving to be better. 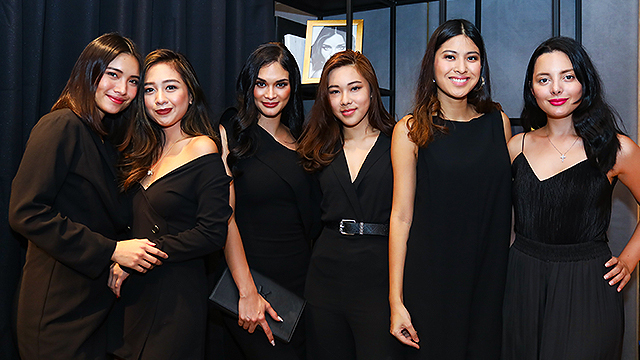 Jach may not have been hailed as “Asia’s Next Top Model,” but she’s grabbed new opportunities after the show, such as becoming the face of local label Una Rosa, and is gunning for more. “I don’t want to settle, so I try to keep everything going,” she says. Life pegs stay on top of the game because they stay hungry. They understand that there’s more out there to know and do, and that if you’re to stay at the top in a growing world, you have to grow with it, if not actually direct its growth. 4. Go where your passions take you. Sambie, who herself has risen in the fields of fitness and tech, says she’s “never going to stop pursuing things [she’s] passionate about.” She’s open to creating something new—whatever that may be—to help develop a sustainable lifestyle that benefits the environment, for instance. This openness to possibilities and willingness to explore new things can lead to a fuller life, especially when you look into your passions, skills, and interests and make something out of them. While it’s easy to get caught up in your current responsibilities, setting your eyes ahead and remembering what you care about put things into perspective, giving you a compass to guide you through your current and next chapters. 5. Find fulfillment in every accomplishment. Sambie gets a “high” whenever she checks a task—no matter how small or seemingly impossible—off her to-do list. It’s essential to find the same sense of fulfillment in your endeavors to, like her, “keep your momentum and push through any challenge.” More importantly, having this sense of fulfillment signifies that you’re in the right place doing the right thing. And for Sambie, if you’re captivated by what you’re doing, nothing—not even other people—will distract you. Keep these tips in mind, and not only will you push yourself to success, you’ll also become a life peg to the women around you, too. For more tips from inspiring Filipinas, follow the hashtag #100UltimateWomen and #ThisIsMyUltimate. Visit Cream Silk on Facebook, Lazada, and on their website for more ways to become your ultimate.